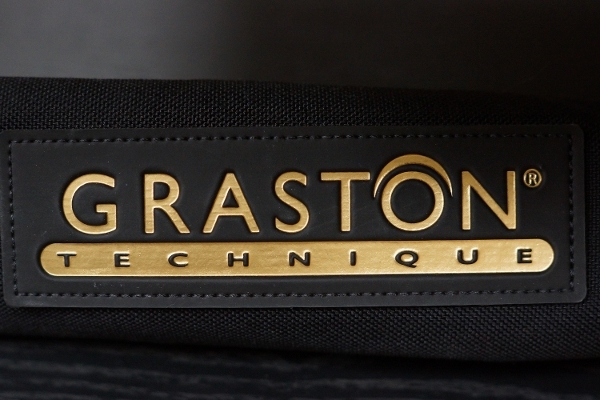 The Graston & Hawk Grips are IASTM techniques (Instrument Assisted Soft Tissue Mobilization). IASTM is an advanced form of myofascial mobilization primarily used to detect and release scar tissue, adhesion, and fascial restrictions. When coupled with stretching, strengthening and cryotherapy, IASTM is intended to improve connective tissue function. This technique allows a clinician to locate the area of adhesion in the soft tissue involved through the vibrations or undulations of the instrument in the clinician's hands. The clinician may utilize the instruments to break up the abnormal cross linkages between the muscle, tendon, or fascia and return the injured area to its optimal function.